The AirSlab is the sophisticated answer to the problem of overheating laptops. Unlike traditional laptop coolers that are made from cheap plastic, the AirSlab is constructed from attractive full grain Walnut veneer. 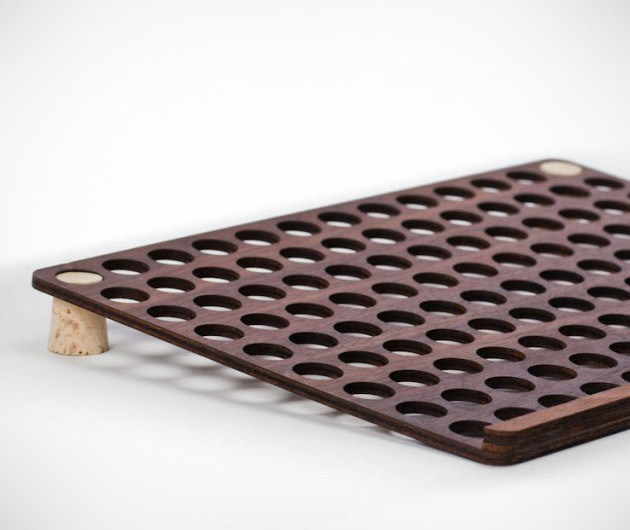 There are no fans or moving parts, just a wooden platform with large, regularly spaced holes that promote airflow and keep laptops cool and comfortable.